As the full moon rises, you can nearly hear the ancient cedar flutes playing soft notes floating on the evening breeze. A small campfire burns warmly behind you, creating shadows of the Ancient Ones dancing on the clay cliffs. The murmuring of the medicine dancers accompanies the low beat of a drum, echoing off the canyon walls. You have arrived. You must be in Colorado. Welcome to Colorado, and most of all, Cortez, CO, the crossroads of the Ancestral Puebloan nations and some of the most spectacular high desert and mountain scenery in the U.S.. We are proud of our history, our heritage, our diversity, our sacred sites, and our location near the Navajo and Hopi Nations. 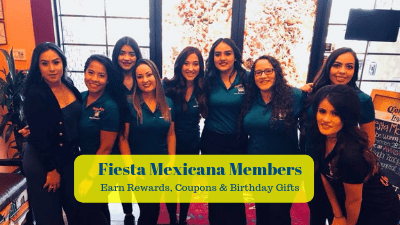 Fiesta Mexicana Cortez is proud to be a “local” in a town of cultural crossroads and tourist destinations. Many “bucket lists” contain a visit to the 4 Corners region, where Colorado, Utah, New Mexico, and Arizona come together. Cortez CO sits at the NW corner of the San Juan Basin, among the rugged and breathtaking San Juan and Rocky Mountain ranges. Less than a day’s drive from Flagstaff, Denver, or Phoenix, Cortez puts you in the center of some of the most breath taking scenery and ancient history in the West. Cortez serves as the portal to Mesa Verde and its spectacular holdings including the famed Cliff Palace Ruins, the largest cliff dwelling in North America. Left by the Ancestral Puebloans, it is believed to have been built between 1190 and 1260 CE and abandoned in 1300 CE due to climate challenges. There are many First Nation ruins nearby, including the Lowry, Sand Canyon, and Painted ruins. You can learn more at the Anasazi Heritage Center at Mesa Verde National Park, a 15 minute drive from our front door. We prefer to refer to the ancient pre-Indians as First Nation peoples who settled in this high desert region many eons ago, and mysteriously vanished. They left behind many examples of highly developed architecture, petroglyphs, pottery, and other artifacts in a stark landscape challenging to survive. The 4 Corners region has more archaeological sites representing the First Nations than any other place on earth. When you plan to visit the National Parks and Monuments in our area, Cortez provides a very convenient hub within less than a days drive from Denver, Flagstaff, or Phoenix. At the cross roads of Hwy 491 and 160, Cortez provides a jumping off point for no less than a dozen federal and state lands, including Mesa Verde, Rocky Mountain, Grand Escalante, Canyon of the Ancients, Canyon de Shelley, Arches, Hovenweep and Yucca House NM, and others. We are located directly on the scenic SW Colorado Adventure Corridor drive from Mesa Verde to Moab, UT and we can feed you well while you are here. 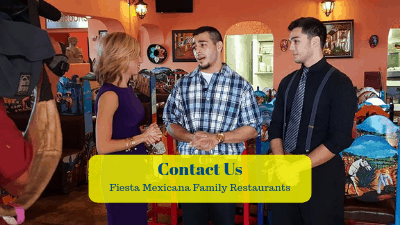 You expect a lot out of a southwest or Mexican restaurant in Cortez, and we deliver. 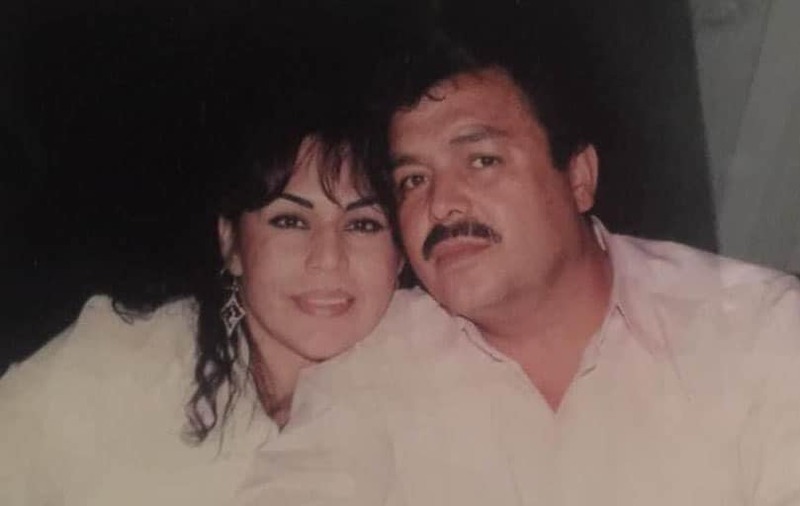 Our heritage comes from the seaside state of Jalisco, Mexico, and we grew up in our family kitchen. All our sauces, moles, and bases are prepared fresh and from scratch. We still hand roll our corn tortillas just like we were taught. Seasonings are to bring out the flavor of our savory food, not mask it. 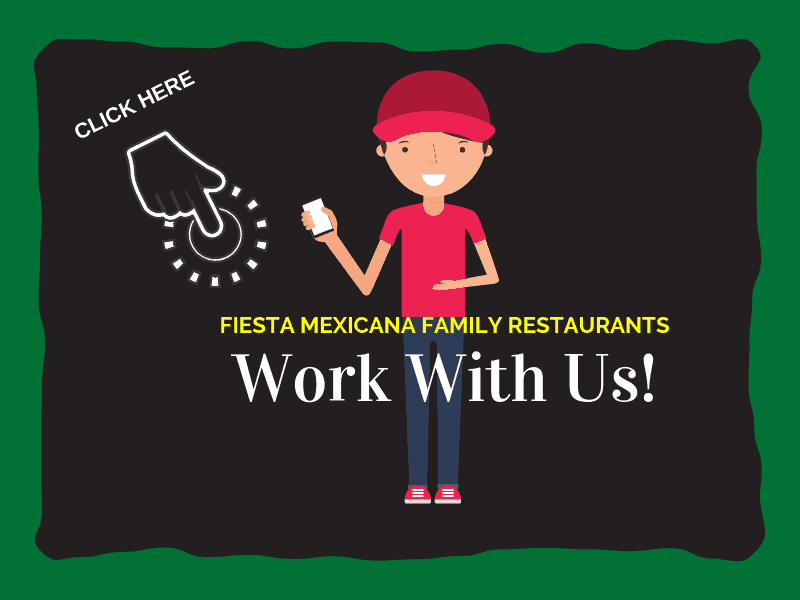 Come see for yourself why people rave about our zesty tableside prepared guacamole, fajitas, and our Colorado specialty, real honest-to-goodness, authentic chili verde. 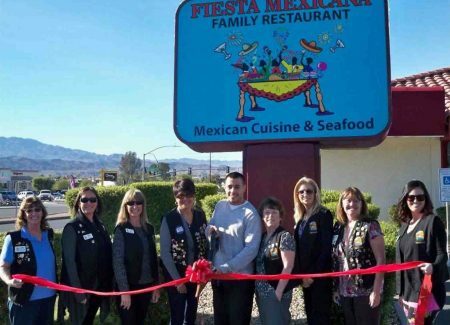 On the east end of Cortez headed to Mesa Verde, Fiesta Mexicana is located close to several good hotels. We have a large parking lot that provides easy parking for RVs. We are located at the intersection of E. Mancos and N. Dolores Rd. next to the Days Inn and near the Hampton. We are open 11-10 Sun-Thurs and 11-11 on Friday and Saturday. Our festive, colorful décor is true to our Mexican roots, and casual dress is the manner we expect so you can relax. Since we are a local Cortez CO, restaurant, and we live here, we know how 4 corners tourism is. That said, you will find our pricing very reasonable compared to many eateries in the area. Our drink specials, Happy Hour from 2-7 with half price margaritas and beer, and food specials including lunch offerings make for more fun and less hit on your vacation budget. Like us on Facebook for specials and event information. Besides, our portions are so large you most likely will have leftovers for lunch tomorrow! Our atmosphere and ambiance is full on traditional real Mexico. Colorful hand carved and painted chairs and tables await, sombreros for the wearing, sculptures of cattle. There is a big screen TV for your viewing pleasure that usually broadcasts football on Monday nights. And if you stay late to see the end of the game, we will not rush you out. Try our extensive traditional Mexican dessert menu ranging from fried ice cream and churros to flan while you cheer. If you have come to hike the ruins or nearby San Juan or Rocky Mountains, you will need a place to fill the hungry of our high altitude and pleasant but dry climate. 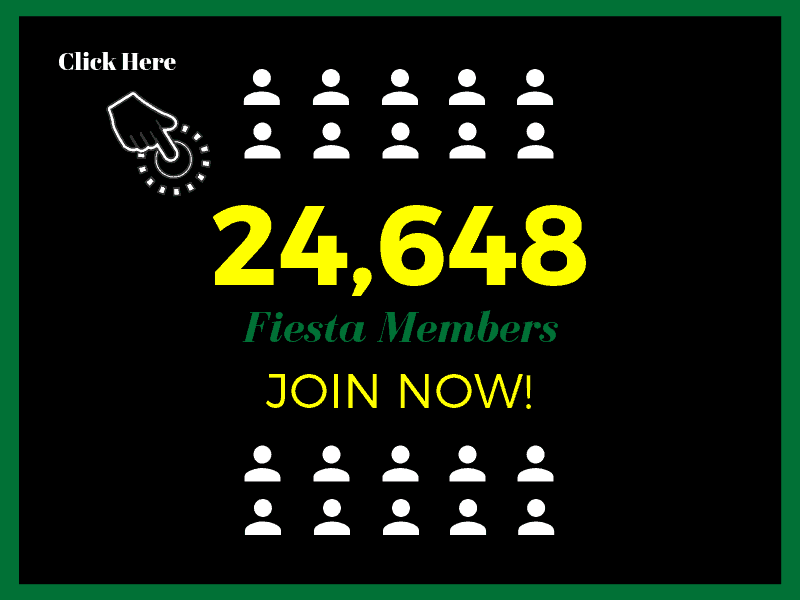 Fiesta Mexicana is known throughout the region for very generous portions, even huge, as well as icy cold spectacular margaritas. We can also pack a lunch for you to take along, and we have late lunch available until 3 each day. There are a lot of things to see and do around Cortez, CO, but nothing beats our “whistle pigs”. Unique to our location is our large prairie dog colony. Come enjoy an icy cold beverage or your meal on our outdoor covered patio, and watch this active colony of these traditional but scarce western iconic animals. Family oriented with an intricate language of their own, prairie dogs have been part of Colorado scenery since time immortal. Please, though, do not approach them. They are shy and you won’t see them again – promise! Since many of our visitors are enjoying their retirement years and getting to see what they have always wanted to visit, we offer an extensive senior menu with reduced portions and pricing. Our menu is large and varied, and vegetarian, gluten free, and other options are available. Should you desire a change in the preparation method of your meal, such as steamed instead of fried, we will happily accommodate the request. To make things convenient for our travelers, we accept all major credit cards. These are all things you should expect from the best restaurant in Cortez, CO. Hiking and sightseeing all day can leave a person tired and not wanting to go out after a hot shower and relaxing dip in the hotel pool. 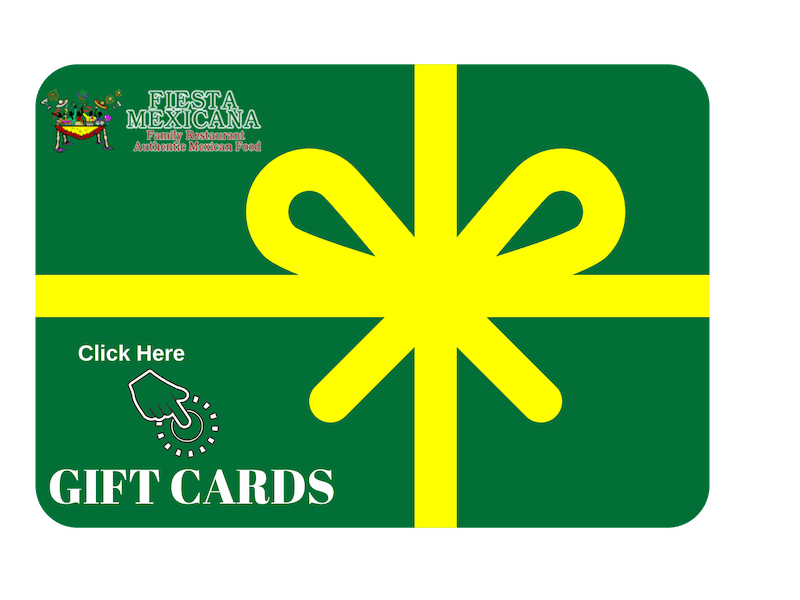 Fiesta Mexicana Cortez offers take out. Just call after viewing our menu online, and we will have your order ready to go. We can also provide catering for events, family reunions, business meetings, wedding rehearsals, or anything else you might need. Call and talk to our manager, and we will do the rest. You can also contact us via our contact form at our company website. Should you still desire a cool, comfortable place to sit and have a cerveza or margarita before dinner, and we appear busy when you get back from the parks, just call our hostess. They will be happy to wait list you, and let you know when a table will be available. If you desire, come visit our full service bar first, then catch your table. Just let the hostess know you are there and at the given time we will seat you promptly with ice water and our famous endless chips and home made salsa. One thing we add here at our Cortez CO restaurant is Mexican Coleslaw, sort of a salsa made with cabbage. Amigos tell us it is tasty and amazingly refreshing after a long day of hiking and sight seeing. In fact, there are a lot of things you will not see commonly on any Mexican menu in Cortez, or anywhere except one of our Fiesta Mexicanas. That is because we are authentic and true to Mexican food. We have the largest seafood offering in the area, as well as many crema dishes. One dish to not miss is our Camerones al Cilantro if you like shrimp and mucho caliente picante. A lot of people who claim they do not even like Mexican food tell us ours is outstanding and come back again and again. Speaking of time, fresh food made from scratch takes a bit. Our service may be fast and professional, but it takes a few minutes longer to cook fresh ingredients from scratch to order. If you are looking for fast food, please call head for a take out order. Or just keep nibbling on our fresh yummy salsas and fresh cooked chips. They can be really addictive. Especially with a coconut or mango margarita. Just drive or walk safe back to the hotel, please, because we have been told our drinks are strong. Traveling with children can be tough when it comes to restaurants. 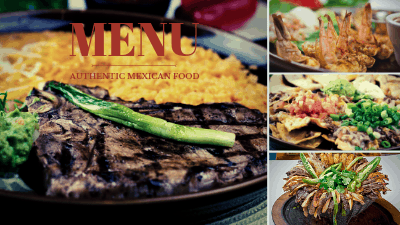 Our traditional Mexican restaurant utilizes fresh ingredients and recipes based on our home state of Jalisco, Mexico. Jalisco is a seaside state, and we have lots of seafood available, as well as less heat than you might expect – different than Tex-Mex. Our kid’s menu offers both western and Mexican fare, and our regular menu can be spiced up – just ask when placing your order. We find many children enjoy sampling what the rest of the party is eating that smells so good. High chairs are available, and we are fully wheelchair accessible. Come to Colorado. Come to Cortez. Take in our timeless energy and sights. Take nothing and leave only footprints. Enjoy a true Mexican meal in a festive, warm atmosphere. Sleep hard and dream. Because you will.